Professor Richard Buggs is an evolutionary biologist. His research group analyses DNA sequences to understand how plants evolve and how to conserve them. 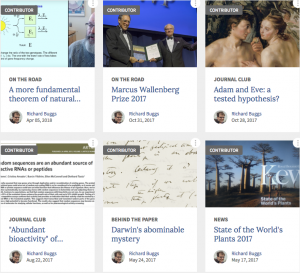 Richard has published on a variety of evolutionary processes including: natural selection, speciation, hybridisation and whole genome duplication. 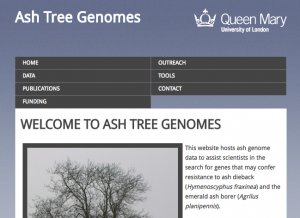 His current research projects seek to understand the genomes of ash, birch and oak trees. 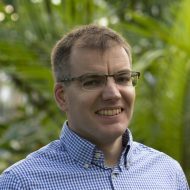 He is currently Senior Research Leader (Plant Health) at Royal Botanic Gardens Kew, and Professor of Evolutionary Genomics at Queen Mary, University of London. This is a personal webpage and views expressed here are expressed in a personal capacity. 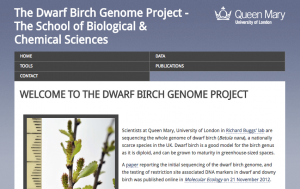 Previously Richard was a Research Fellow at QMUL, funded by the Natural Environment Research Council (NERC) to work on the genetics of birch tree species in the UK. He examined the effects of hybridisation and population size on the evolution and conservation of dwarf birch, a nationally scarce species. Before this, Richard was a post-doctoral research associate at the University of Florida, in the lab of Doug and Pam Soltis examining the evolutionary genetics of plant species with different numbers of chromosome sets. He studied the rapid loss and silencing of genes in new plant species that arose from natural whole genome duplication events. He holds a DPhil from the University of Oxford for a doctoral thesis on the evolutionary ecology of two closely-related plant species in Spain. He received his undergraduate education at the University of Cambridge, where he was elected Bateman Scholar at Trinity Hall, and gained a first class Bachelor’s degree in Natural Sciences.